The iVD - Pasty is a dispensing head that distinguishes itself by its highly precise, digitally controlled gear wheel pump, which is controlled by the DATRON iServo motor. 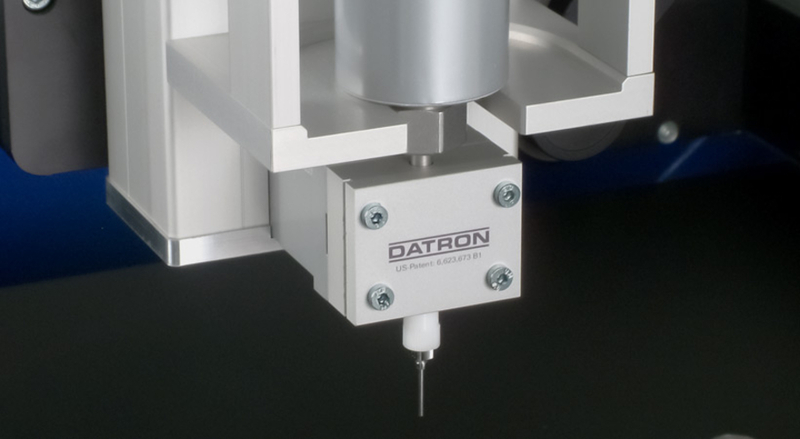 A DATRON dispensing head is well suited for dispensing all conventional 1C materials, such as silicones and MS polymers in the viscosity range of 100,000 - 1,000,000 mPas. The digitally controlled iServo motor is able to position the gear wheel pump to a precision of 1/40,000 turn. This allows the smallest amounts to be dispensed in a process-sure way. Non-linear flow properties of the material can be compensated with the software.